We Heart Family and Friends has teamed up with a great group of bloggers to share this giveaway with all of you. This candy will make a few kids pretty happy. Old Time Candy offers candy by the decade from the 20’s all the way up to the 90’s, the company was founded by 2 “baby boomers” from Lagrange, Ohio, Karen and Donny Ray. 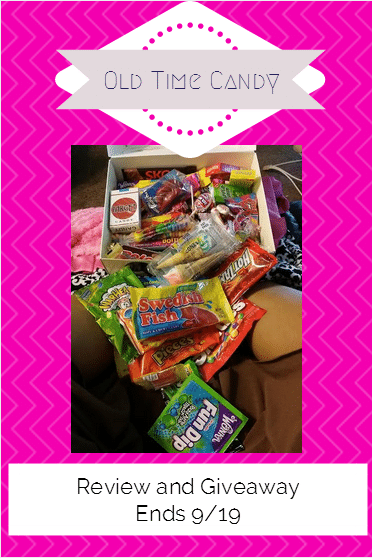 I was impressed at this 4 pound box of candy that was sent to me, everything was pretty much right on, my kids ate most of the candy and the 4-year-old drove me crazy asking every 5 mins or so for candy… I think her fave was the Ring Pop. 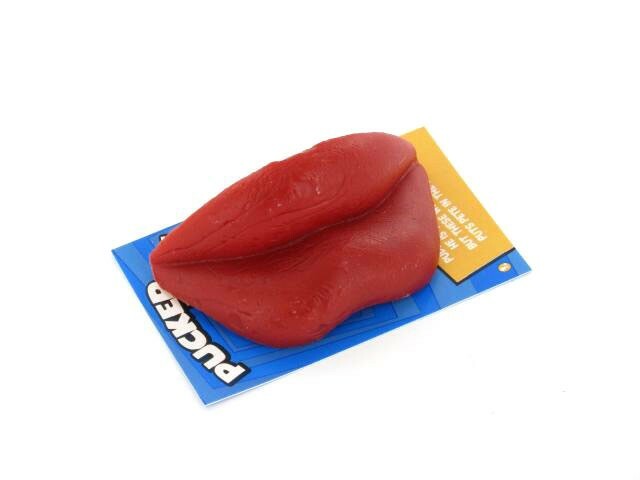 It did bring back some great memories….Me, my sisters and cousin used to chew these wax lips for hours, I remember the wax being stuck in my teeth, but that didn’t stop us. We used all sorts of imagination with these lips lol. I chose the 80’s box, because I am an 80’s baby. As I said before I was over all impressed. There were just a few cons, not exactly negatives about this box. Probably 80% of what was in the box is stuff that can still easily purchased at lots of gas stations. Some of the things I was most looking for was not included, like for instance, I swear I recall Chick-o-Sticks being one of the candies I ate all the time, but then again this could be from another decade. The one thing that would make this box better is if they could figure out a way to put the items in its original packaging. I would definitely use Old Time Candy if I were having a decade themed party. Enter below to win your own 4 pound box from the decade of your choice. We Heart Family and Friends is not responsible for prize fulfillment. This giveaway is in no way endorsed by Facebook, Twitter, Instagram, or Pinterest. 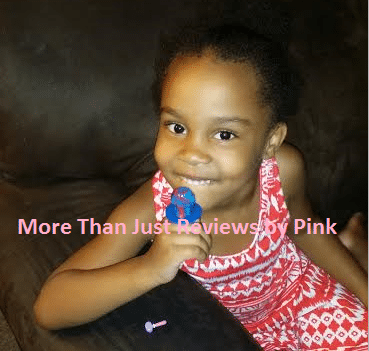 More Than Just Reviews by Pink received this product for the purposes of review. All opinions are 100% my own. If you would like to see your product featured in a future review and/or giveaway you can contact More Than Just Reviews by Pink here. I would buy tons of black jack gum and mary janes! I would choose 80’s. All that sour candy looks delish!! I would choose the 70’s. I would go with the 60’s.